Strange one, huh? 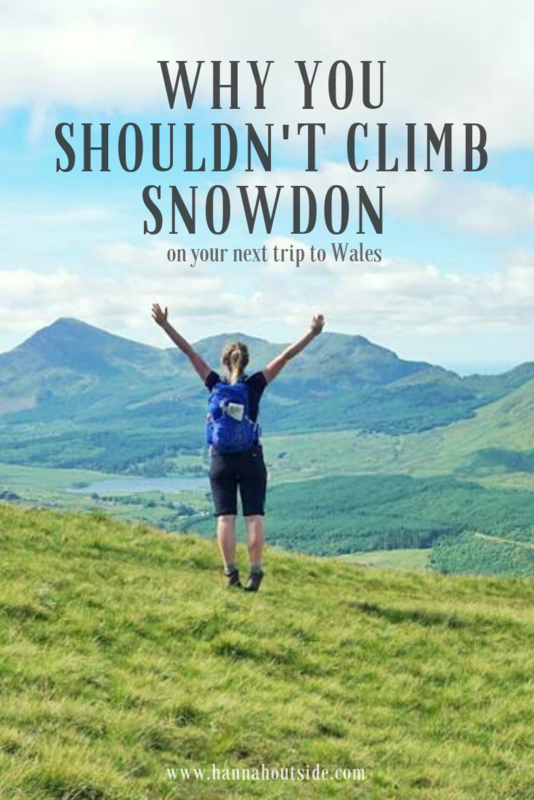 As I was flicking back through my blog I realised that I don’t really have anything from Snowdonia and those posts that I do, I talk about Snowdon. The thing is that a visit to this north Wales national park does not have to be all about climbing the peak it’s named for. I wrote quite a lot about this area when working for Trail Magazine and so I’ve steered clear of it here on my own blog. However, through writing routes and features I’ve come to walk a lot more of this beautiful place and thought I would tell you a little more about other corners to explore instead. 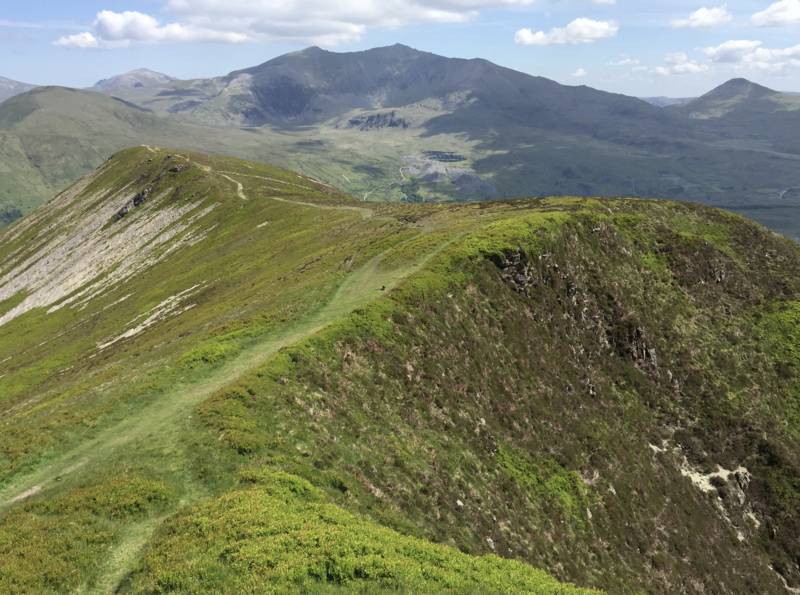 Snowdon is a wonderful mountain – and hands down is one of my favourites – and as it’s the tallest in England and Wales at 1085m it provides a nice challenge for walkers. You can find my blog on the routes to take up Snowdon from Pen-Y-Pass here. However, that does mean that it draws the crowds. If you want a peaceful walk then climbing Snowdon maybe isn’t your best bet, as unless you go when the weather isn’t great, in an off peak (haha) time or at an ‘odd’ time of day then you’ll likely come across lots of other people. That’s not my idea of fun. Besides, Snowdon is a great looking mountain from afar and you can’t really enjoy the view of it while you’re actually stood on it. That’s where climbing one of the many surrounding peaks comes in. 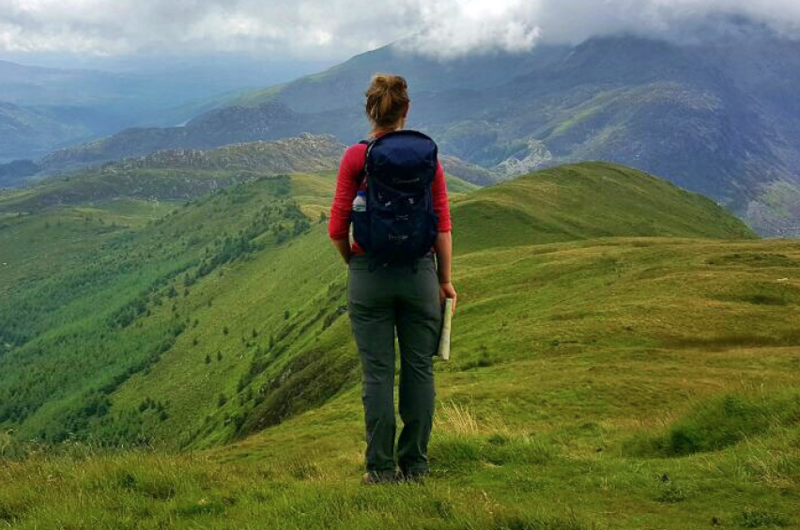 Read about four other mountains to explore on your walking weekend away below. One of my favourites is Moel Hebog, which stands tall and bulky above Beddgelert at 783m. You can’t miss it as you come into this well known welsh village. The walk starts from the car park in town climbs steadily up it’s steep side. This involves a small amount of scrambling. Don’t worry, it’s nothing exposed but does add a touch of excitement to the climb. 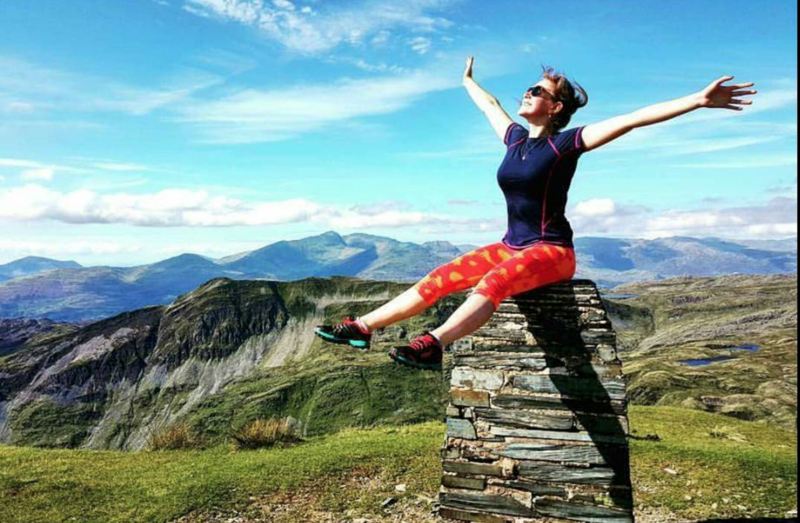 The view over Snowdon and its surrounding peaks is simply fabulous so make sure to stop and soak it all up as you get higher. You can check out my Snowdonia video here with Moel Hebog in. I’ve often cited the Glyders as one of my favourite places and I stand by that. It’s such an other-worldly place to be with craggy rocks. You can explore these two summits, Glyder Fach and Glyder Fawr, from Ogwen, Pen-Y-Pass, or do a nice long linear walk from Nant Peris to Capel Curig, which takes in both as well as several other summits en route (one day I’ll do this walk again and actually take some photos of it). At 1001m and 994m they’re a fair bit lower than Snowdon but they are much more characterful and fun. 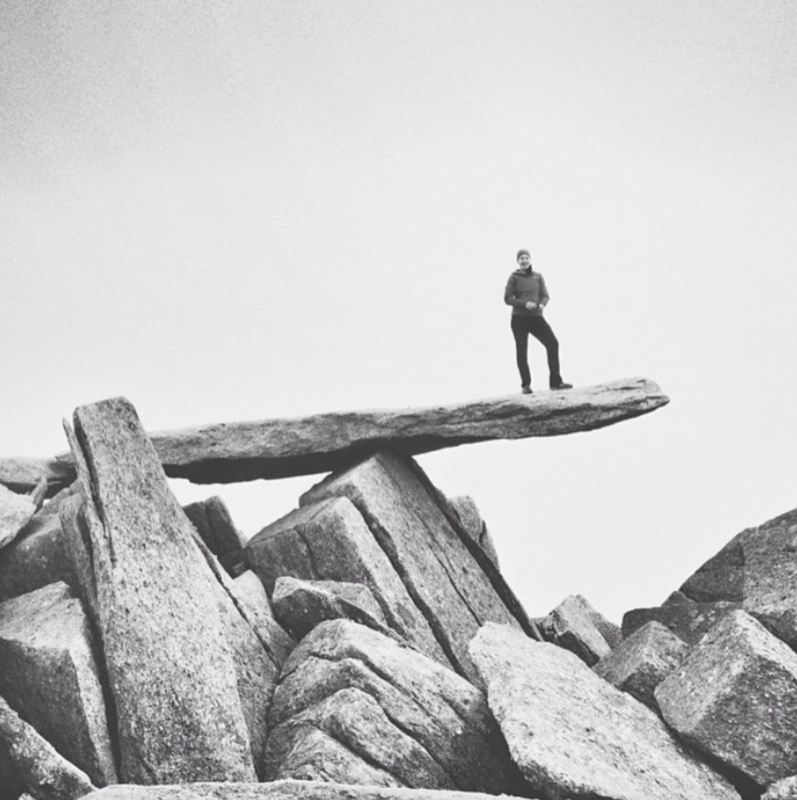 While you’re there make sure to climb all over Castel-y-Gwynt, hoping from huge slab of rock to huge slab of rock and take your photo on the Cantilever stone. 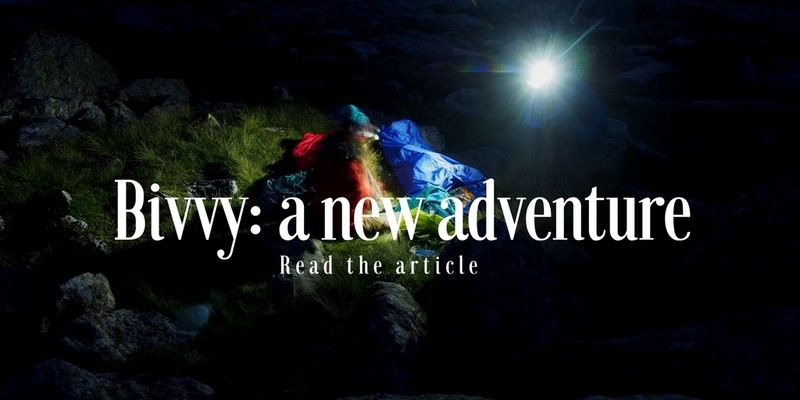 If you’re a climber, head over to Bristly Ridge for your ascent. There are so many options for climbing these two peaks that it’s enough to get any mountain-lover more than a little excited. 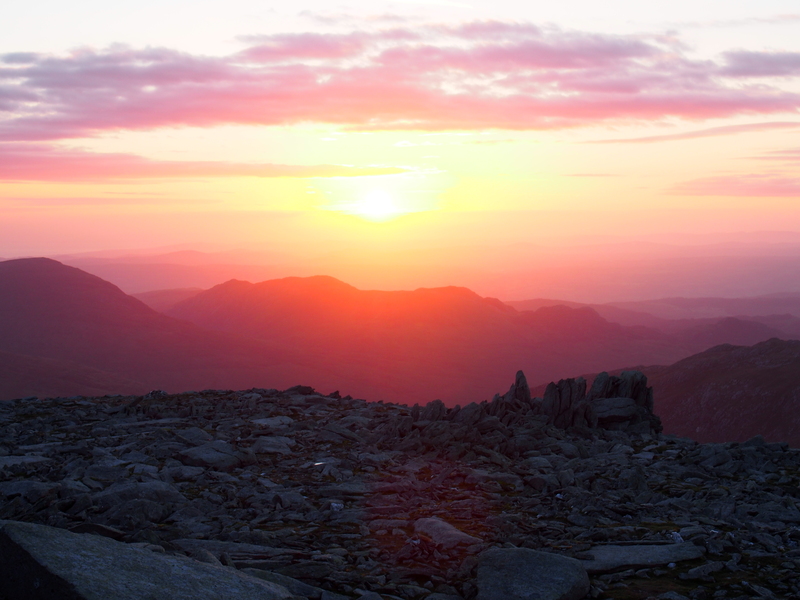 One of my favourite mountain experiences was my first bivvy on Glyder Fach – the sunrise over the Snowdon Horseshoe was something special with the early morning sun really highlighting why Crib Goch is named as such – the Red Ridge. Click on the photo below to read about my first time bivvying! 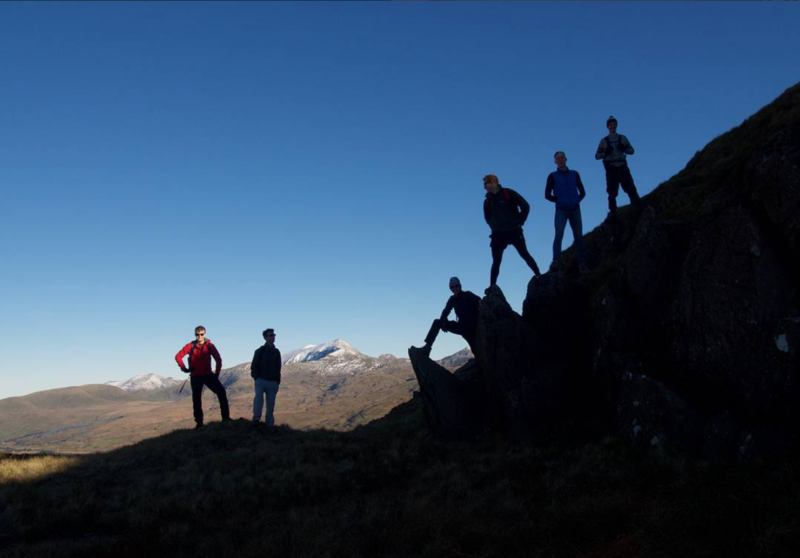 If you’re after a walk with a little more exposure but not yet ready for the mind-numbing heights of Crib Goch then this could be the walk for you. A steady climb up onto the ridge itself brings you to the foot of the sharp curved ridge you can see for miles around. While there is a hefty drop at one point, it’s pretty easy to block it from your mind by walking on the other side of the many boulders that are strewn over the path. The path is pretty clear, guiding you up and over to less exposed slopes. The views, as you’d expect are wonderful, and the walking is fun so this is definitely one to explore for yourself. Mynydd Mawr is named so aptly I think. It’s a huge chunky piece of rock stuck on the end. It’s a different kind of walk… It’s not as gnarly and it’s a bit of a slog up but once you’re up, you’re up and the walk to the summit is lovely and gentle. The descent is much more gradual than the climb, which suits my creaky knees perfectly. I’ve done this walk as a linear route, catching the bus back from Betws Garmon to Rhyd-Ddu where I’d parked my car. On Mynydd Mawr looking over to Snowdon in the centre background and Yr Arran on the right. 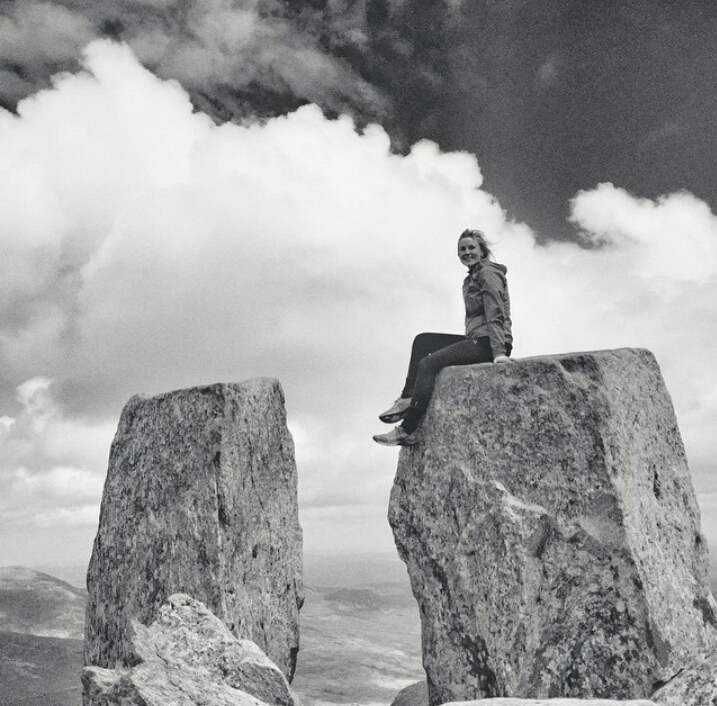 Standing on its own, Tryfan’s spiny back helps it stand out from the crowd. This iconic peak is a mountain-walker’s paradise with different routes of varying difficulties leading up to it’s boulder-laden summit. You can chose to ascend via the tamer south path, have a scramble up the north face or rope up on the east face. The north face is a lot of fun but there are a few hair raising moments so do not tackle this route if you have any kind of phobia of heights or climbing. As for the east face, I won’t lie, I’m not touching that route. If you’re a climber then I’d advise hiring a guide or picking up a guide book to study. 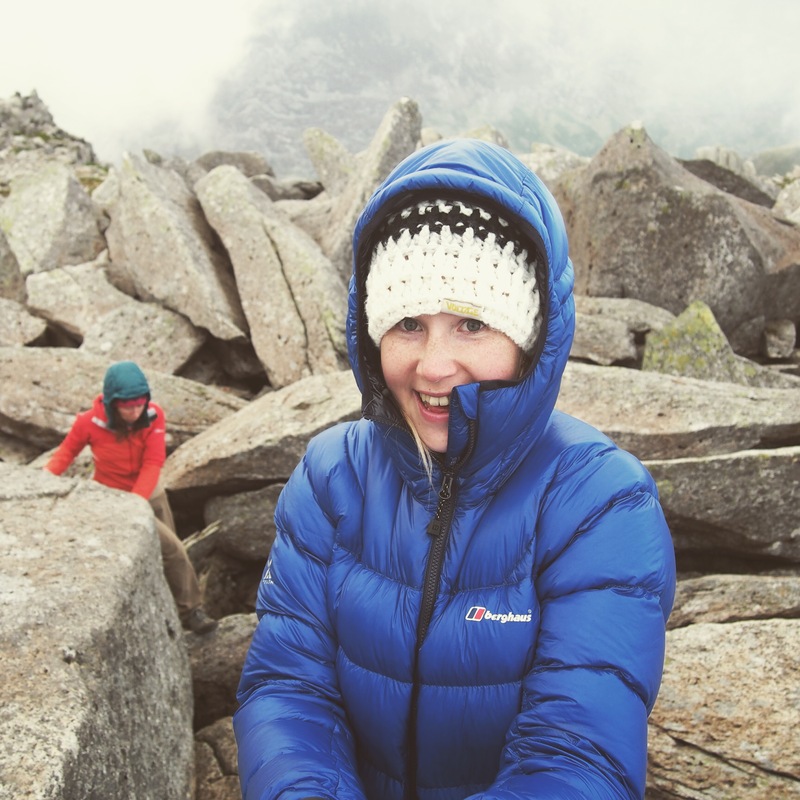 Just to throw a safety message in here though, Tryfan’s definitely one to tackle with caution. You can easily get lost descending the summit and heading off down a route that’s not meant to be taken. 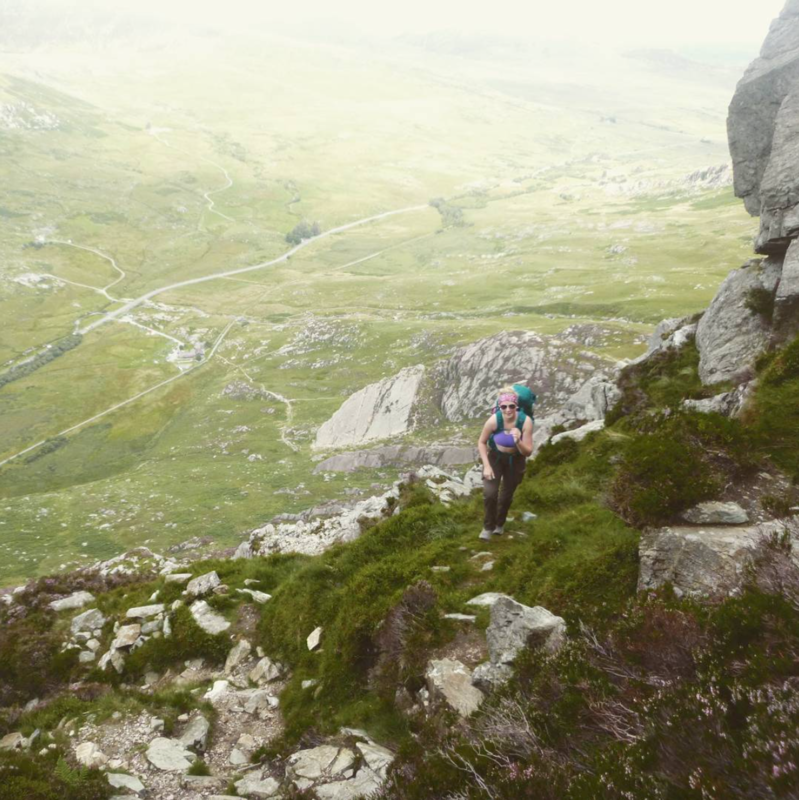 For this reason, Tryfan has a high mortality rate as far as mountain deaths in the UK go – there’s a reason the Ogwen mountain rescue are the busiest in the country. So, without wanting to put you off, do take care. I wrote a route for Trail magazine around the Moelwyns (and all the above) but this is the one that surprised me the most, as I really really enjoyed this walk. 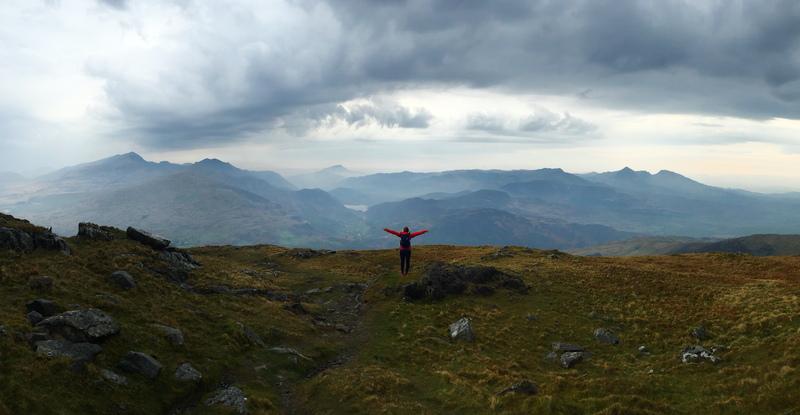 Taking in two summits, Moelwyn Bach and Moelwyn Mawr, the map does not do this route justice. It’s a little bit of a walk in and there was some bog but once we got past that point it was just delightful. Wide slabs of rock covered a lot of Moelwyn Bach, which dropped down sharply for a short, sharp climb up onto Moelwyn Mawr. 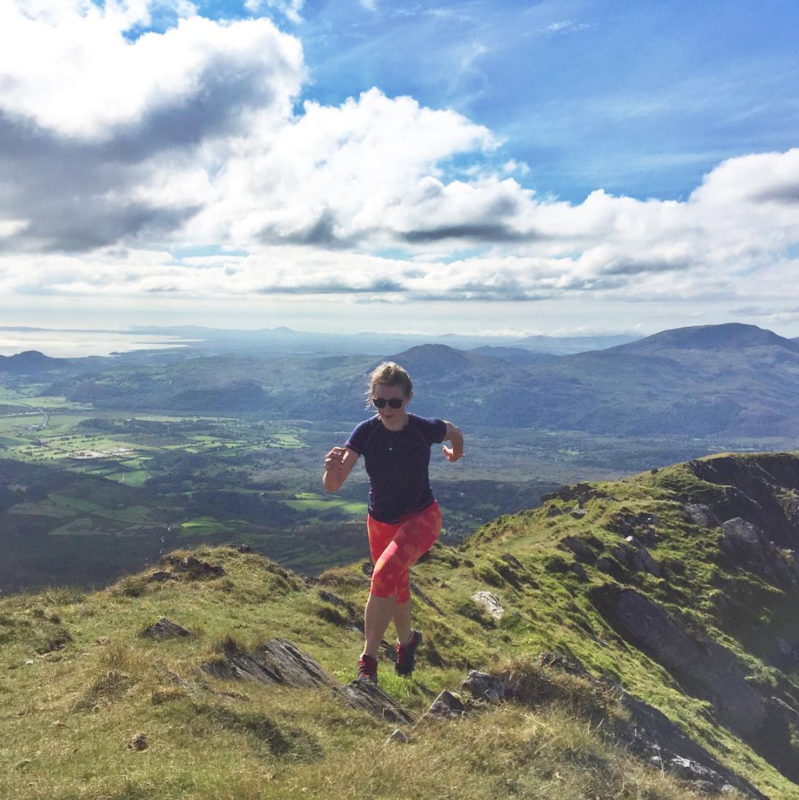 These are only a small selection of other walks to do when you visit Snowdonia. There’s the Carneddau, Moel Siabod and the smaller Crimpiau to explore, too. Not to mention those peaks that are in the south of the national park. 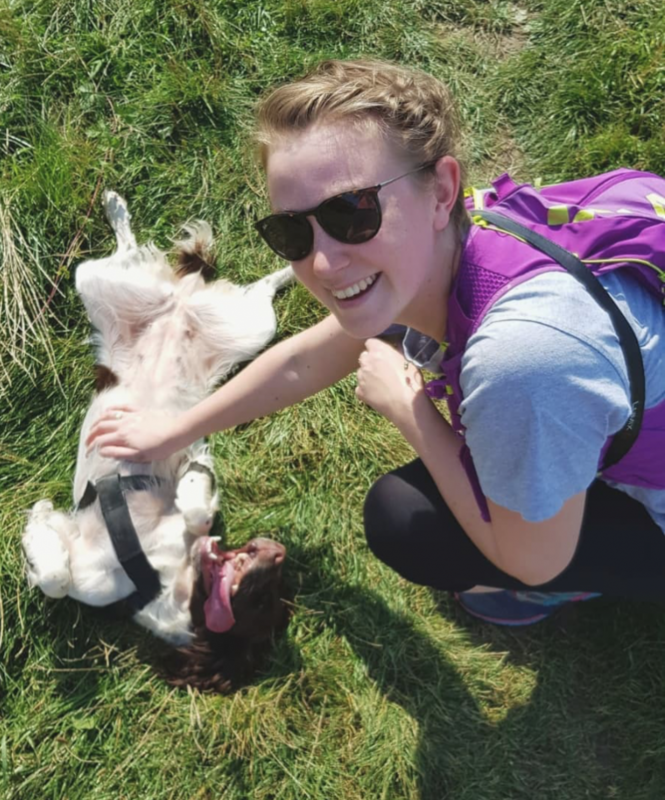 There are so many other walks in this wonderful corner of Wales and not only mountains days – I just wanted to demonstrate that you don’t have to climb Snowdon to enjoy your visit. I hope some of these have tempted you to think further afield.